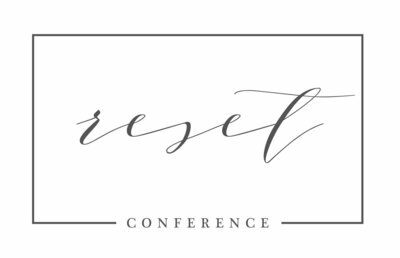 Oh my goodness… those of you who are writing blog posts on behalf of The Reset Conference are absolutely crushing it!! We’ve been asking some of you from all across the country to write about your experiences, takeaways, and growth so that newcomers or those on the fence will know what they are in for. We seriously couldn’t ask for any better reviews — thank you, thank you, thank you!! I. Love. Reset. I’ve attended three years now and every year it motivates me, lifts my spirits, and more importantly grows my business! Year one at Reset my goal was to soak up as much business knowledge as I could. Anything to get me started. I hadno idea how to run a business. I learned general tips on workflow, social media hacks and just balancing life and your business. Year two I learned about branding, embracing your imperfections, PRICING WHAT YOU’RE WORTH, secrets to being an awesome second shooter, working with intention, off-camera flash and more. Attending this year was a little different for me than in the past. When I originally started my business I was located in Central, IL – where I’ve lived my entire life. This past summer I moved 9 hours away from my friends, family and clients to start a new life in Pittsburgh, PA. 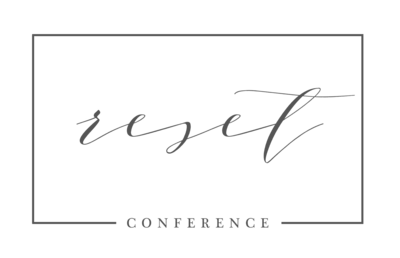 I came to Reset this year with an essentially new business. Needing all the help I could get to get this thing off the ground again. This year was exactly what I needed – and it couldn’t have come at a more perfect time!! My classes focused on how to build a more profitable photography business, increase profit, get more clients/increase your demand (best take away ever), making your website effective & efficient, different styles of “natural posing” I hadn’t explored yet, Law 101 (2nd best take away ever), and major tips on how to rock a wedding from some of the industry’s best photographers. Over the years, I’ve also done various “break-out sessions” with some crazy talented photographers (shout out to Sarah Hill and Kara Kamienski!) Shooting alongside them, learning posing tricks and how to create natural emotions with your couples & families. The best part? Photos for your portfolio. Which, for someone starting out or restarting, are worth their weight in gold. Researching further/implementing all the tricks I’ve learned have made my client base grow. Folks. I cannot stress this enough…………INVEST IN YOURSELF AND YOUR BUSINESS. No more free sessions or sessions for $50, weddings for $300, the usual. You, your talent and your time are worth it. If you want to make it work, do it and DO IT NOW. Attend Reset. Thank you SO MUCH, Kaitlin! We are blown away by your words and everything you’ve been challenged with the past year. We know you are going to rock your business in 2017 & beyond!! You can find Kaitlin Powell online on Facebook & Instagram.